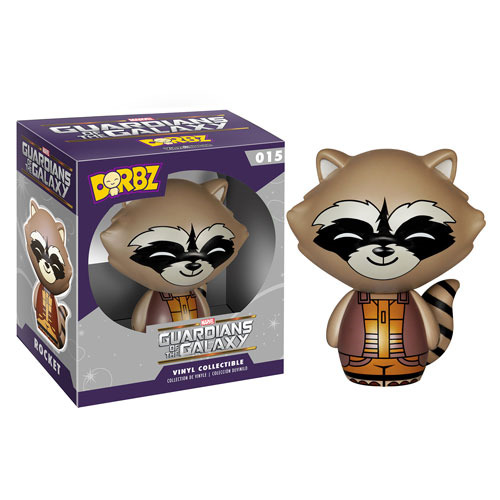 Ain't no thing like Rocket, except the Rocket Raccoon Dorbz Vinyl Figure! This feisty little hero is pretty adorbz-able in Funko's Dorbz format. The Guardians of the Galaxy Rocket Raccoon Dorbz Vinyl Figure measures approximately 3-inches tall and comes packaged in a double-sided window display box! Ages 4 and up.